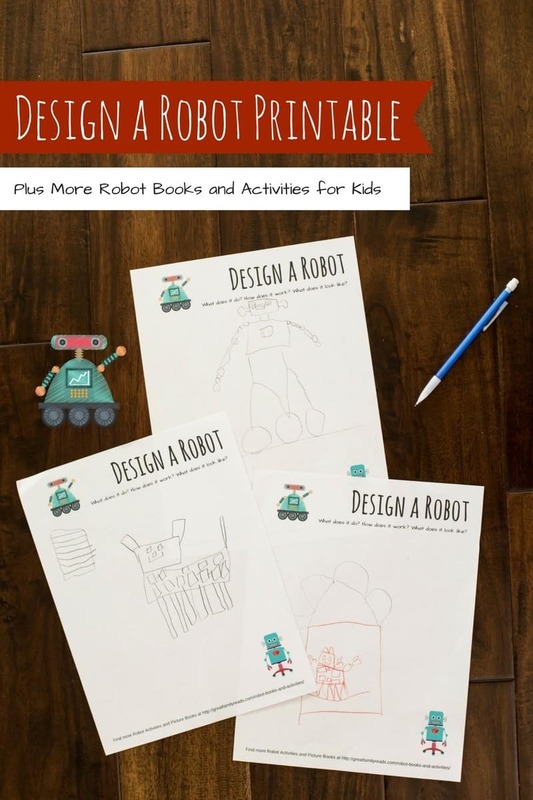 Design a robot printable, plus more robot books and activities for kids of all ages. I love that these activities appeal to a wide range of ages – the printable alone is engaging for preschoolers through middle schoolers. This week’s Storybook Science theme is Science with Robots. I picked the picture book Robots, Robots, Everywhere. This picture book is all about all the different kinds of robots out there! I created this design a robot printable to go with it. The great thing about this simple printable is that it appeals to a wide range of children! The robot above was designed by our four-year old neighbor. The two animal robots shown alongside this one in the image at the top of this page were drawn by my five-year-old daughter. 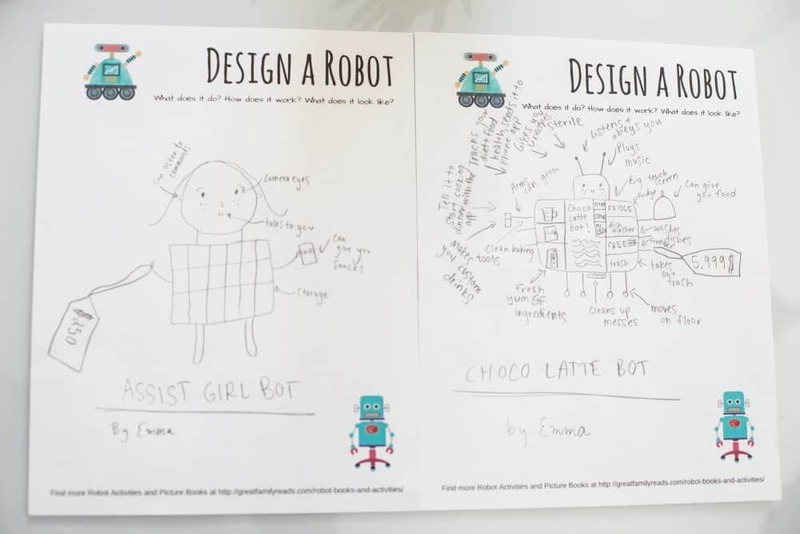 The two robots below were designed by my ten-year-old son. Even my sixth grader got into robot building! I’m sure my eight-year-old would have as well, but she was at a friend’s house while we were working on this post. 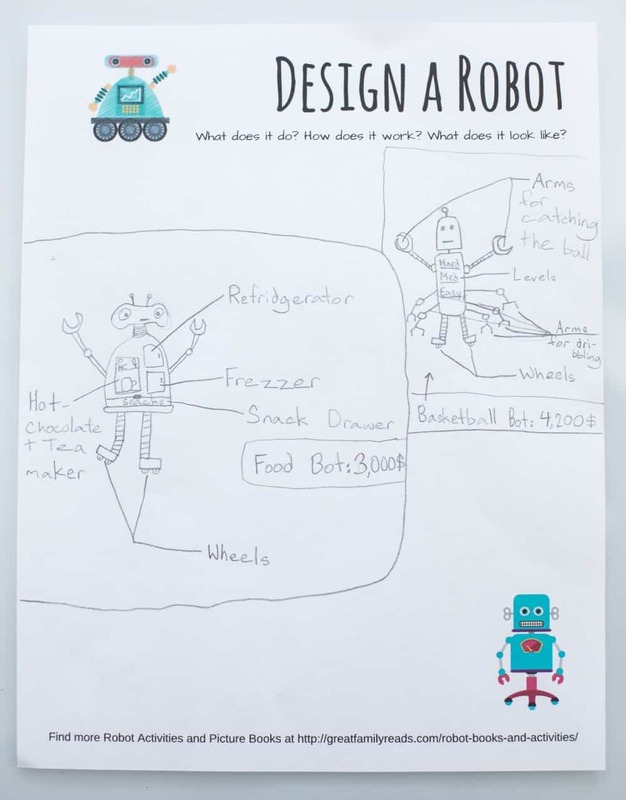 What kind of robots will your children design? 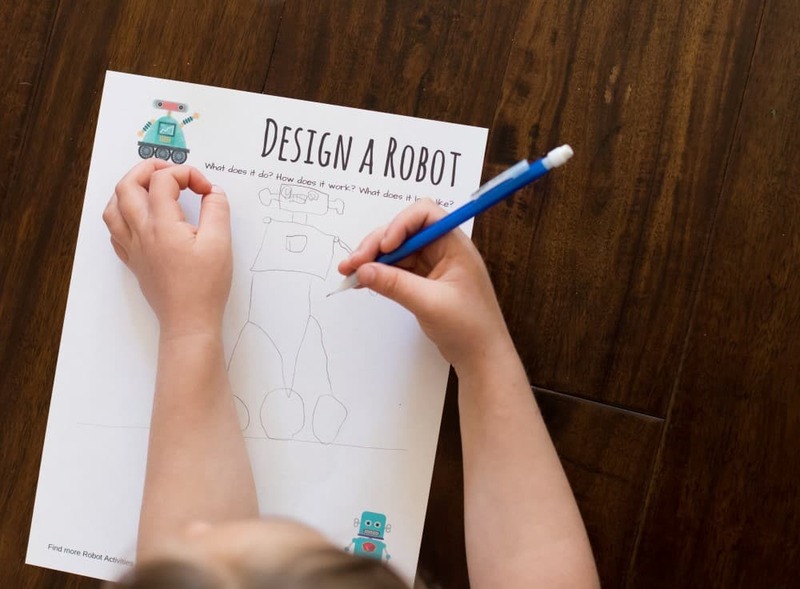 Download the design a robot printable to find out! 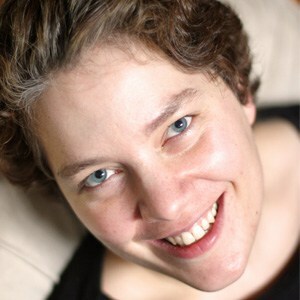 Storybook science is one of my favorite kids’ activities series on the internet, and this is my third year participating (first year on this site)! Click on the image above to see all the posts this year. What are your favorite robot books and activities for kids? Share links on my Facebook page, and I’ll add them to this post!